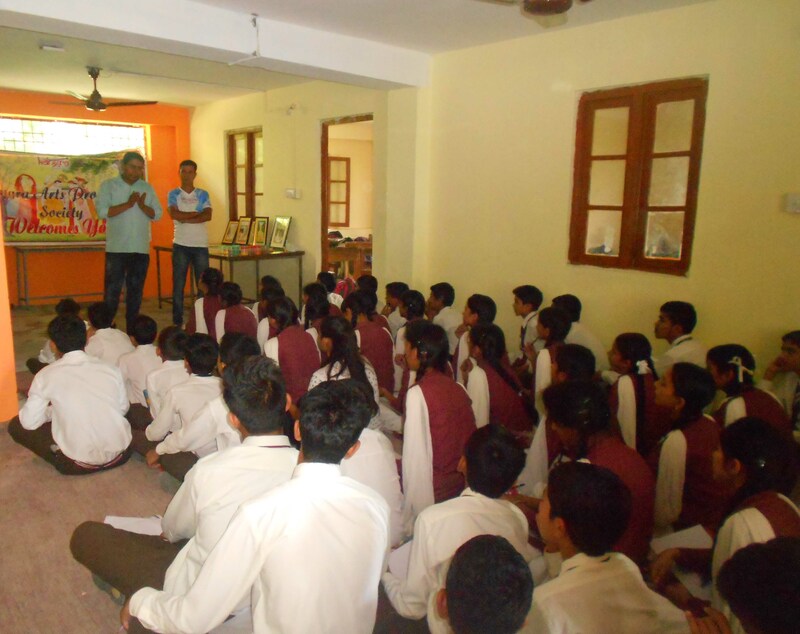 KAPS conducted workshop in Dhauladhar Public Senior Secondary School, Shyamnagar. 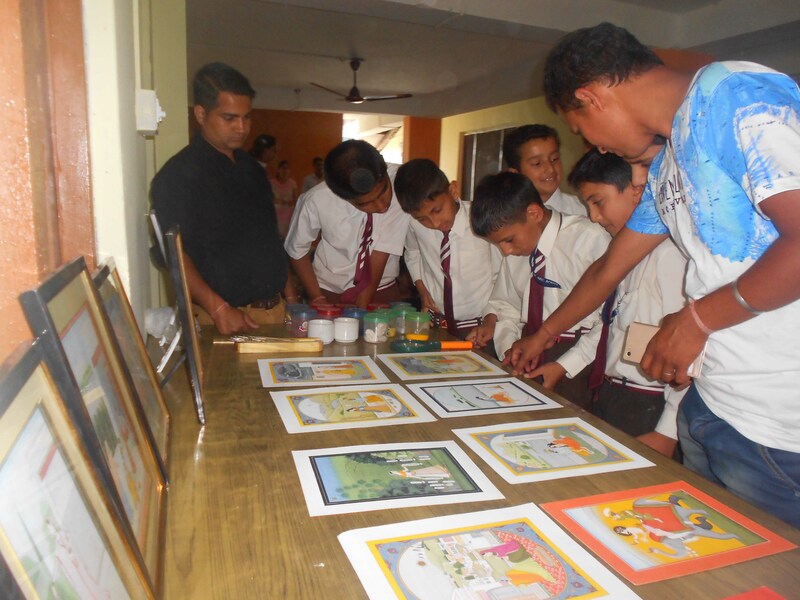 Around 80 students, from Classes VIII- XII participated in the 2 hours program. KAPS resident artists Monu Kumar, Kamal Choudhury, Sushil Kumar and Rajeev Kumar conducted the program. Students actively participated and some of them were able to draw and sketch Radha and Krishna’s face at the end as per artists instructions.